Classic rock fans will be in for a truly memorable evening of timeless music and endless hits, as Rock and Roll Hall of Fame guitar greats Dave Mason and Steve Cropper will be hitting the road together for the first time in their careers. 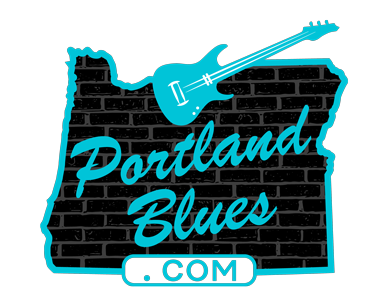 The Rock & Soul Revue tour that will be landing in Portland’s Revolution Hall, 1300 SE Stark Street, on Thursday, September 20. The Rock & Soul Revue show will feature Mason and Cropper performing their greatest hits and personal favorites. While some songs will be performed solo by each, most of the songs will be together, backed by Dave Mason’s longtime touring band. Fans can expect to hear such well-known Mason hits and affiliated songs as “All Along the Watchtower,” “Only You Know and I Know,” “Dear Mr. Fantasy,” “Every Woman,” “We Just Disagree” and the ever-so-popular rock anthem, “Feelin’ Alright,” along with such Cropper classics as “(Sittin’ On) The Dock of the Bay,” “Green Onions,” “In the Midnight Hour,” “Knock on Wood” and maybe even a little “Soul Man.” What a show! Tickets for this 21 & over show are available through Ticketfly.com. General admission is $55.00. Special VIP tickets going for $230.00 includes a meet & greet experience: Hang with Dave & Steve: attend Sound Check and meet with them before enjoying a night of terrific music. It’s a real chance to chat, ask the questions you have always wanted to ask, shake hands, take personal photos and have memorabilia signed. There are only a limited number of these and an exclusive VIP laminate/Backstage Pass, 8×10 color photo or a tour booklet plus a merchandise item (array of items will vary depending on availability) are also part of the package. On Friday, September 21, the pair will be appearing at the McDonald Theatre, 1010 Willamette Street in Eugene, at 8:00 pm. Tickets range from $39.00 to $69.00 at Ticketswest.com. VIP packages are an additional $175.00 and include the same amenities as the Portland show.